SKELMERSDALE UNITED were formed in 1882 and their origins came from a local youth team from the Wesleyan Day School. They joined the Lancashire Combination in 1891 and would go on to have varying degrees of success. Their best finish of third in the top tier came in 1966 and then again in 1968. 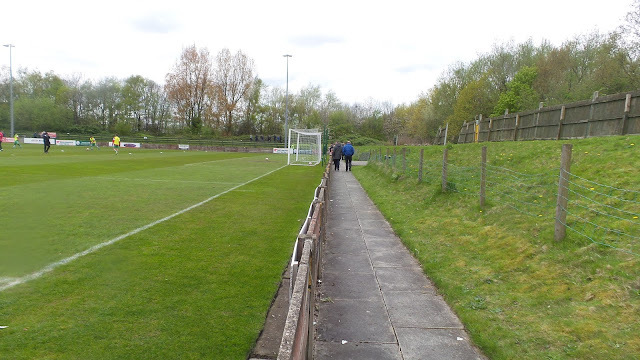 That year, they joined the Cheshire League and enjoyed three very good seasons before joining the NPL in 1971. 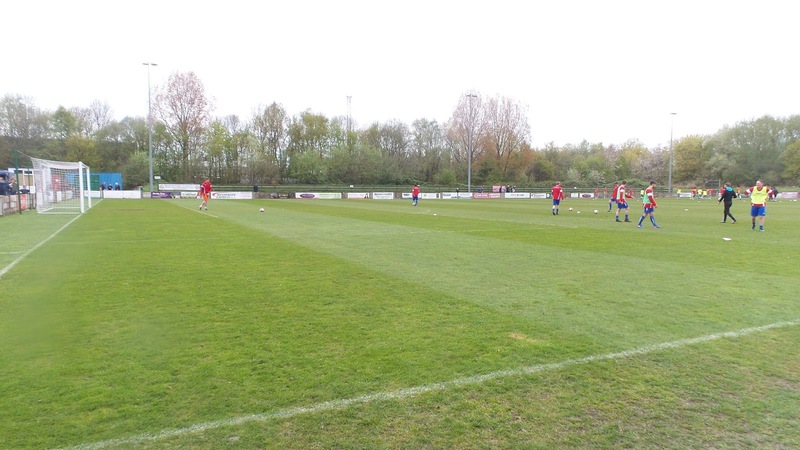 Their time here was unspectacular and they returned to the Lancashire Combination and Cheshire Leagues. 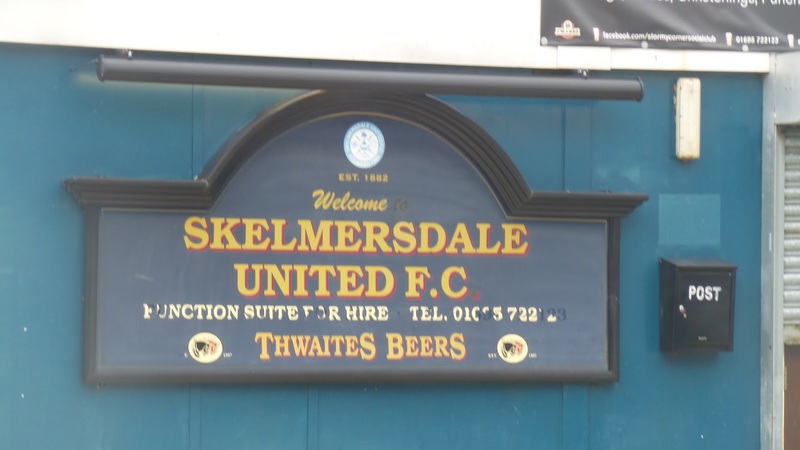 When the North West Counties League was established in 1982 Skelmersdale United were founder members. Starting out in Divison 2, they didn't do especially well but were promoted to Division 1 in 1987 after finishing 9th. They'd go on to have their best ever finish of 7th in 1991/92. 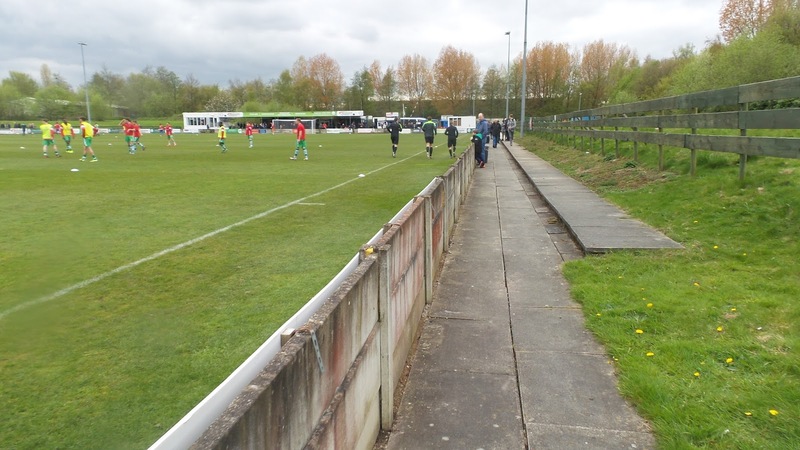 They spent a couple of years back in Division 2 following relegation in 1996 but gained promotion back in 1998 after finishing as runners-up to Oldham Town. 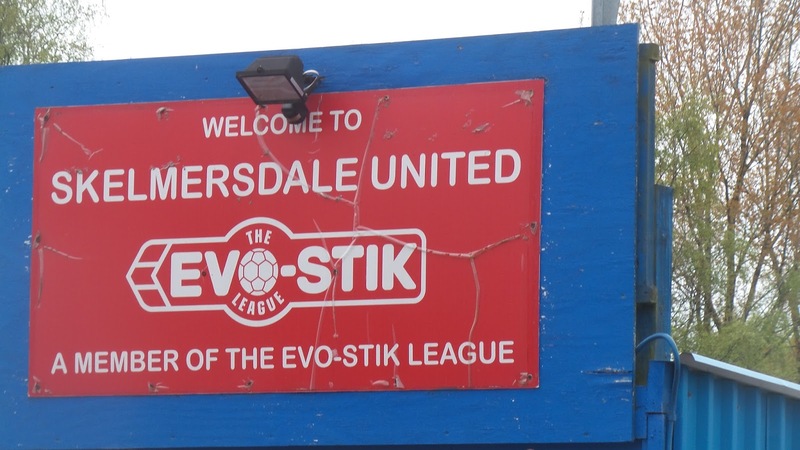 This time they were a lot more successful and by 2006 they were promoted to the NPL after finishing as runners-up to Cammell Laird. Starting out in Division 1, a mid-table finish of 15th was followed up with a period of great success. They didn't quite haver the finishing touch though with three playoff failures. They finally broke their hoodoo in 2013, lifting the NPL D1 North title with 102 points. They enjoyed their best ever finish the following year, finishing 6th and just missing out on the playoffs. Since then there has been steady progress, despite financial issues. This season has proved too much though, with the club sitting bottom of the league. 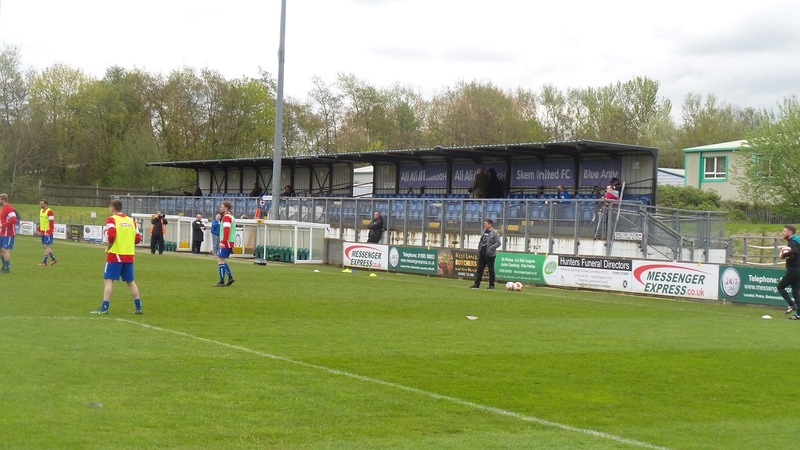 The last month has been fraught with relegation confirmed, the loss of their ground due to failing a new lease and near extinction because of the latter event. Thankfully Prescot Cables have stepped in to offer them a home for next season, though it will mean them playing 12 miles away from their home town. 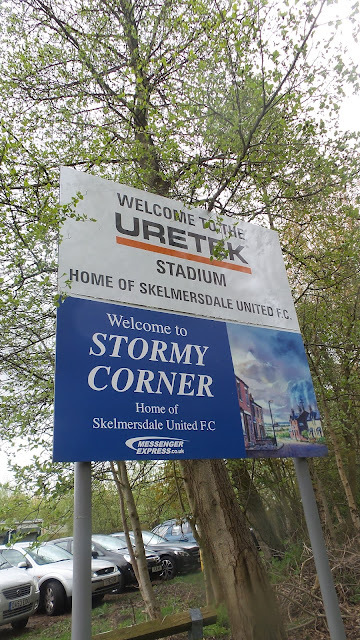 In the FA Cup Skem have progressed to the first round on three occasions, losing to Scunthorpe United in 1968, Chesterfield in 1969 and Tranmere Rovers in 1972. 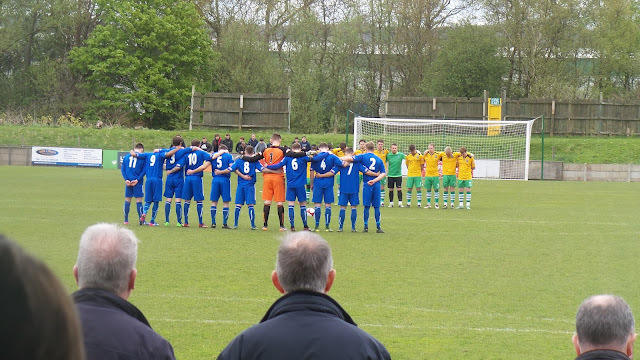 The club was hugely successful in the FA Amateur Cup, never progressing to any less than the semi-final. They were runners-up in 1967 as they lost to Enfield in a replay before going one better when they beat Dagenham 4-1 in the final of 1971. 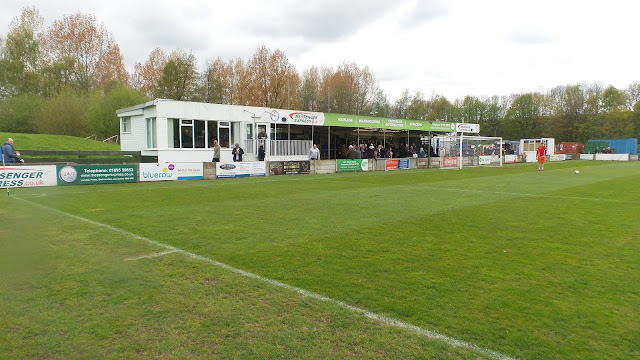 The club's best season in the FA Trophy came in 2013 when they lost 2-0 at Luton Town in the 3rd Round, whilst in the FA Vase they reached the 4th Round Twice, losing out to Taunton Town and Frome Town on each occasion. 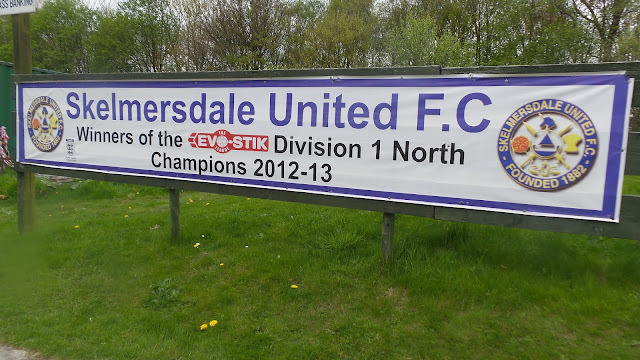 Various local honours have been won, including the Lancashire Junior Shield and Lancashire Cup. I woke up at 7.15 on the day of the game, having a bath before eating a few snacks for breakfast as I couldn't be bothered to drive to a supermarket. I caught up on my YouTube subscriptions before leaving at 9.30. I got to my first game at Atherton Colleries at 10.10, some 50 minutes before kick-off although as I've already sone a sizeable blog on my previous visit. I helped them out as I was still hungry by buying a pie, which sadly once again came with no peas or gravy. 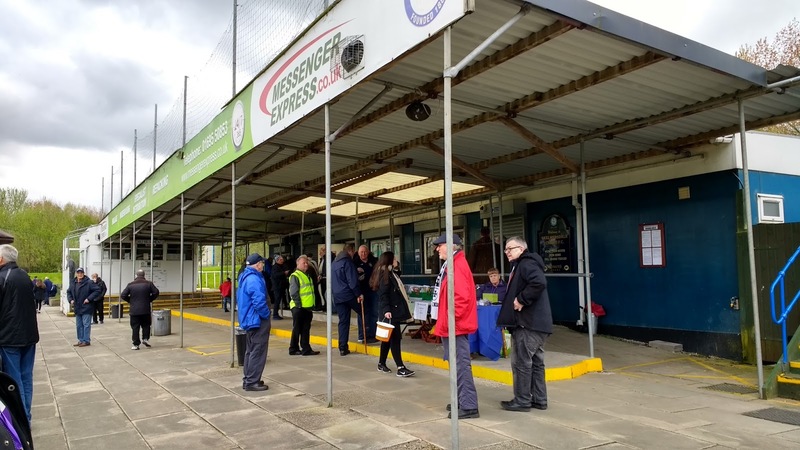 Though the catering was distinctly on the southern side, it was the same northern welcome as I'd received last time and I was made to feel nice and welcome. 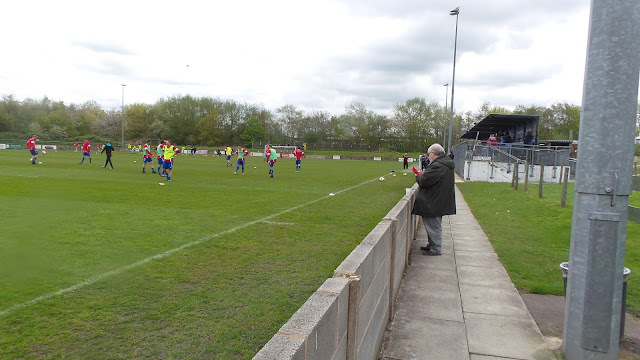 They were running away at the top of the North West Counties Premier and outlined their promotion aspirations with a comprehensive 5-1 win over struggling AFC Darwen to take another step towards securing a place in the Northern Premier League. Whilst other hoppers headed off to various places, mainly the next official hop game at West Didsbury & Chorlton. 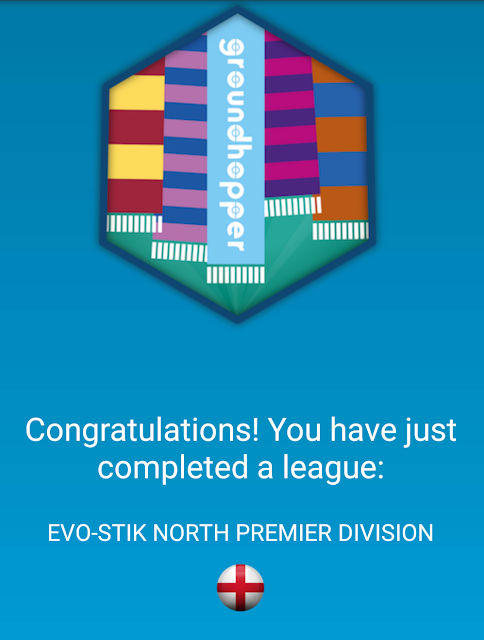 Any other day, I'd have been joining them but with Skem leaving their ground in the very near future, I was going to get it ticked whilst I could. It was an attractive game too - a local derby against fellow strugglers Marine - a club who had given me a great welcome when I'd visited a couple of years ago. 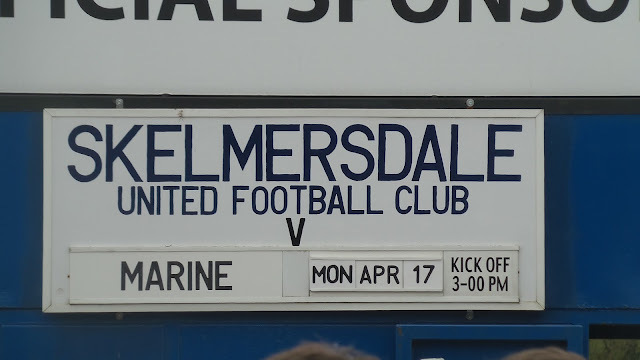 I left Atherton at 12.50, getting to Skelmersdale at 1.30. 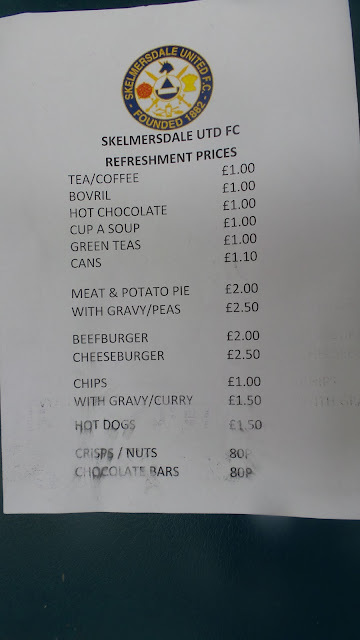 I stopped in the town as I needed to get some cash out and also got a chilli beef slice from Pound Bakery and some cider and Irn Bru from Home Bargains. 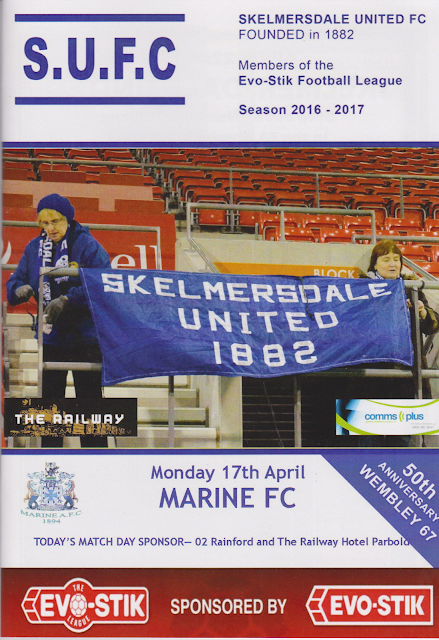 I got to the ground at 2, paying £9 to get in, plus £2 for a thin but well-presented programme. I said hello to Mark Lund who I'd met at Prescot Cables last season and who is fundraising money for his son Alfie who sadly has the life-limiting disorder MECP2 syndrome. The facilities on offer at Skem were really impressive. There was a decent club shop with club merchandise and old books and programmes. I bought a smart pen for £1.50 which also had a torch on it, which was the first time I've ever seen anything like that. I also picked up a couple of books in return for a donation which amounted to another £1.50 which was all the change I had in my pocket at the time. From there I headed to the bar and had a pint of Strongbow before getting some curry sauce and chips for dinner. I took a spot on the halfway line near some Marine fans that I'd encountered briefly before and we had a good chat whilst listening to the decent pre-match tunes that were being played on the tannoy. 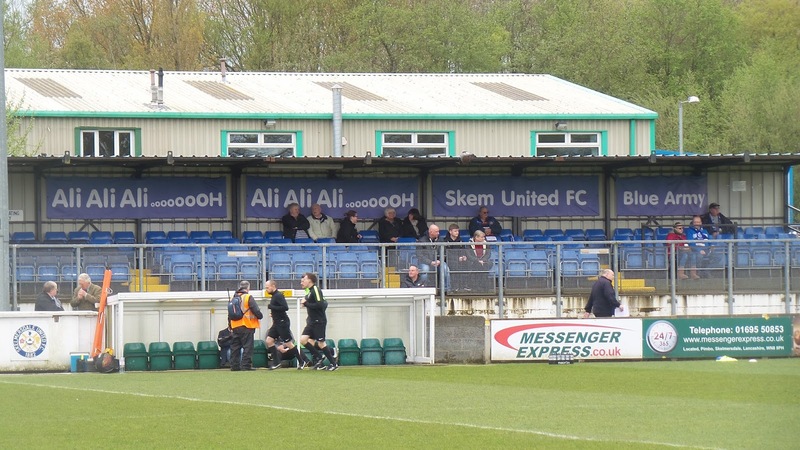 With Skem marooned at the bottom, it was always going to be a tough ask for them to win, even against Marine who sat a few places above the relegation zone. They made things difficult by conceding as early as the third minute when Daniel Mitchley's curling shot found the top corner. A Matthew Hamilton header on 37 minutes found the opposite top corner after an excellent cross to make the task even harder for the hosts. They had an ideal opportunity to get back into the game when they were awarded a penalty in the second half, but the Marine keeper Paul Phillips saved well. The visitors sealed the game on 64 minutes when Mitchley got his second when he followed up after some hesitant defending by the hosts. 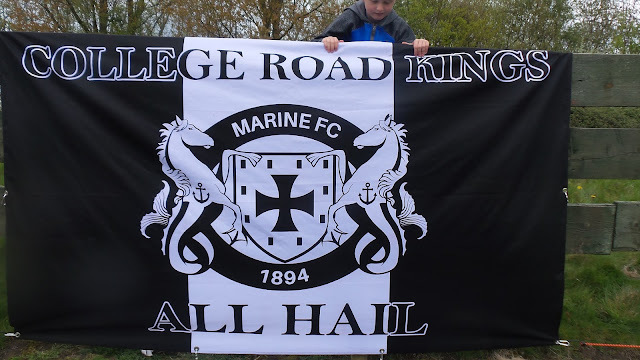 It was just reward for Marine who were by far the better side and who bought some great support with them, including some vocal youngsters who represented their club well. As for the hosts, they were another friendly club from the Merseyside/Lancashire area, and I really hope that they do better for themselves next season and return home as soon as possible. STORMY CORNER is a great setup, so it's a shame they will be leaving soon. 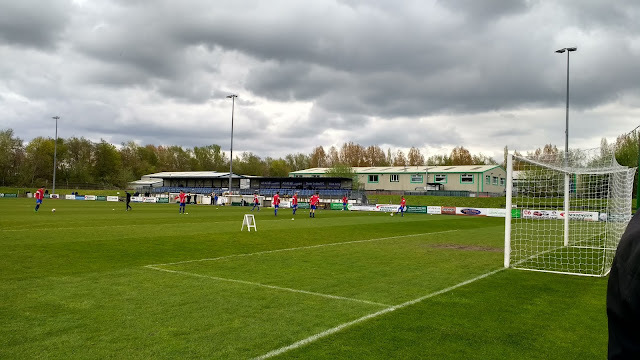 The ground itself is nothing amazing although at least the around 300 capacity metal seated stand is elevated above pitch level so you get decent views. There's further cover behind the near goal for around 700 whilst the rest of the ground is open standing with steps of terracing. 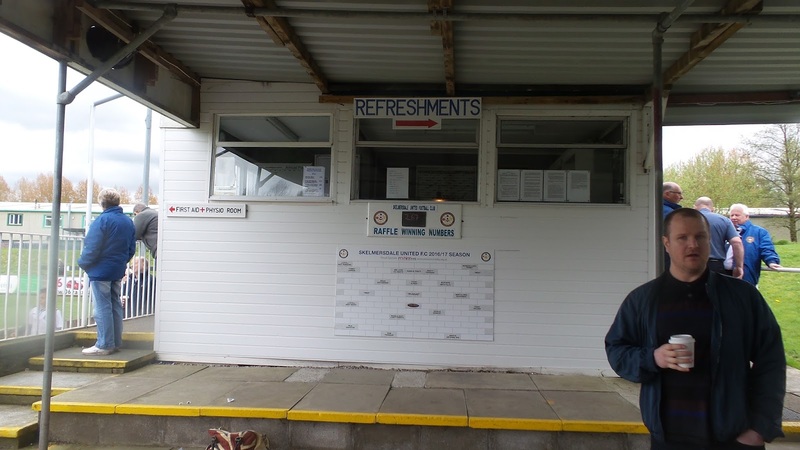 It's the extra facilities where this ground excels. 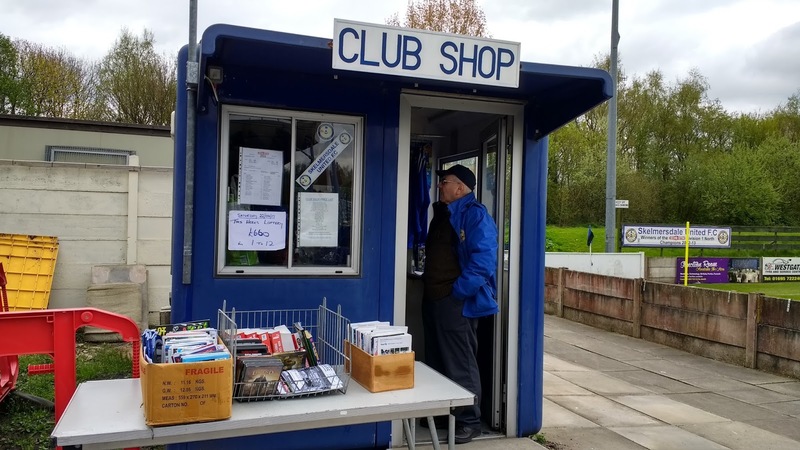 The club shop was my favourite part with a decent range of old programmes and books that are available in return for a donation. There is also a good range of souvenirs including pens with a torch on the end which are available for a bargain £1.50. 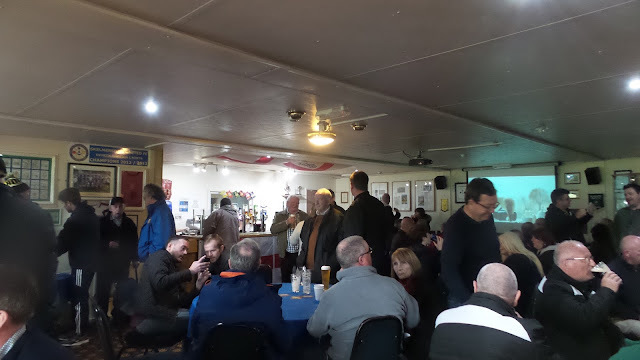 The bar is also nice and offers the usual range of drinks but also has club related stuff on the walls and Sky TV. The tea bar is also good, with a nice range of food at reasonable prices. The best thing though is the overall friendly feeling around the ground which seems the trend with clubs around this area. The ground is a bit out of the way on an industrial estate although it is excellently signposted from the motorway.